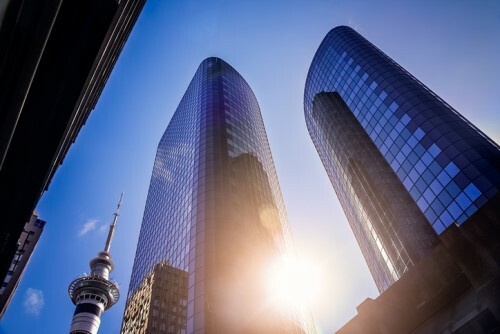 Expectation for the next 12 months in the commercial real estate sector remains high among industry executives but it has slipped from earlier highs. A report by global law firm DLA Piper shows that sentiment in this decade was highest in 2013 and 2014 and despite a bullish outlook (62% of respondents) there are some concerns for the sector. "While the good times keep rolling for commercial real estate, it's clear there are questions about just how long they can last," said John Sullivan, chair of DLA Piper's US Real Estate practice. He added that there are increasing challenges, mainly from outside the US, but also a positive side. "Respondents know that the current positive economic cycle is more than eight years old, and they see turmoil around the world in the news each day. Still, it's clear that capital is available – and there's a wide-reaching sentiment that the United States remains the safest destination for investment," Sullivan said. The abundance of debt and equity capital, and the strength of the US economy, are the top reasons for the optimistic outlook while bearish tones are driven by concern over the Trump administration, Brexit, North Korea, and rising interest rates. Although the Chinese government is trying to restrict the outflow of capital, most respondents are confident in the strength of foreign investment in US commercial real estate, including the large share from China. The slowdown in the Chinese economy is a concern though. Retail is also considered favorably. The recent challenges for the sector are not seen as a downward spiral; just 8% said retail was “doomed”; and most respondents (68%) think smart retailers will find a balance between e-commerce and bricks and mortar. For the year ahead, 92% see further increases in interest rates and non-gateway cities are expected to perform better for real estate investors than gateway cities. Austin and Seattle are predicted to perform best with Denver and Nashville also seen as top investment destinations.